Being a Tacoma newborn photographer for nearly a decade, I have had the honor of photographing many second, third, etc. babies. It is always special to take pictures of a family’s new addition, but I will admit I do love seeing those older siblings again after they have grown. They are not the baby anymore! When they come to my Sumner natural light studio, I wonder if they remember being there before. Many times they have been back for a Watch Me Grow session or two, to capture their milestones during their first year. 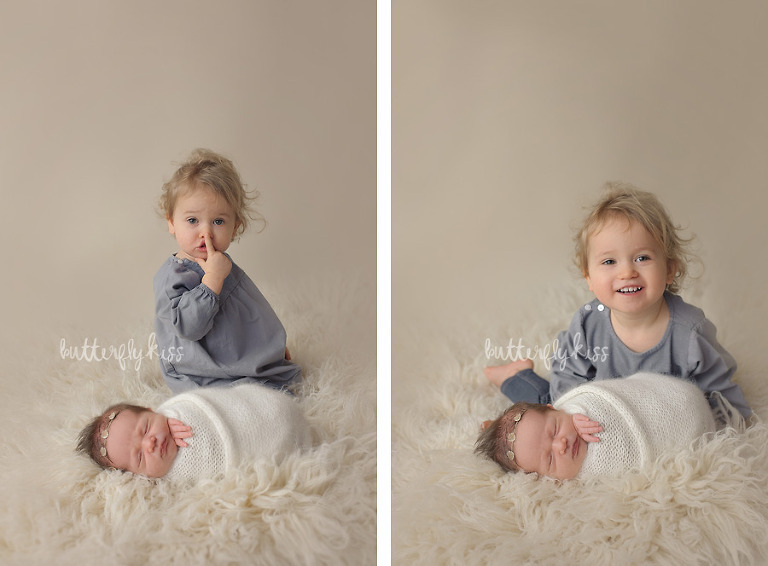 Even if they don’t remember it a bit, my cozy studio does have a way of making siblings feel at ease while we photograph them with their new little brother or sister. Reagan was so cute checking out her baby sister! I think these too will grow up to be such perfect play mates, and I can’t wait to see them again for more pictures as they grow. 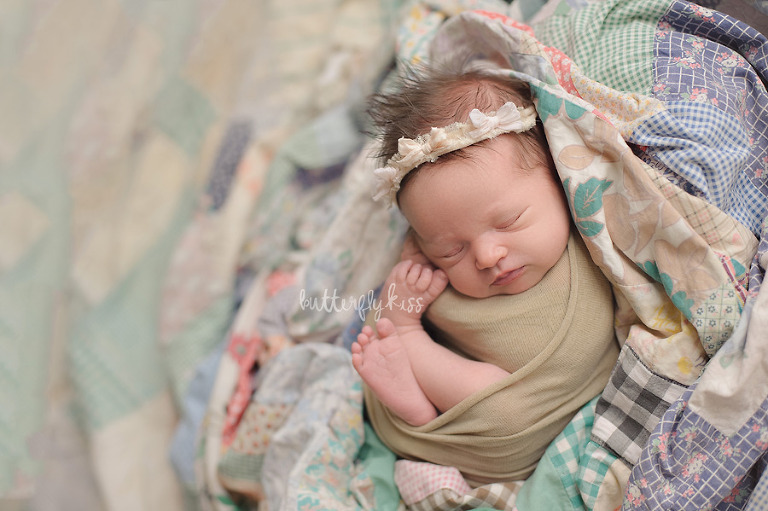 Who doesn’t love newborn baby with vintage quilt picture… it is the perfect touch of girly and classic. I got this quilt at the Farm Chicks show in 2016. I can’t wait to return and find more treasures like this to incorporate in to your newborn session. Isn’t she just the cutest! Shhhhh….baby is sleeping. Maybe I should have this made into a sign for my studio, what do you think? These sibling pictures were definitely some of mom and dad’s most favorite from their portrait experience. 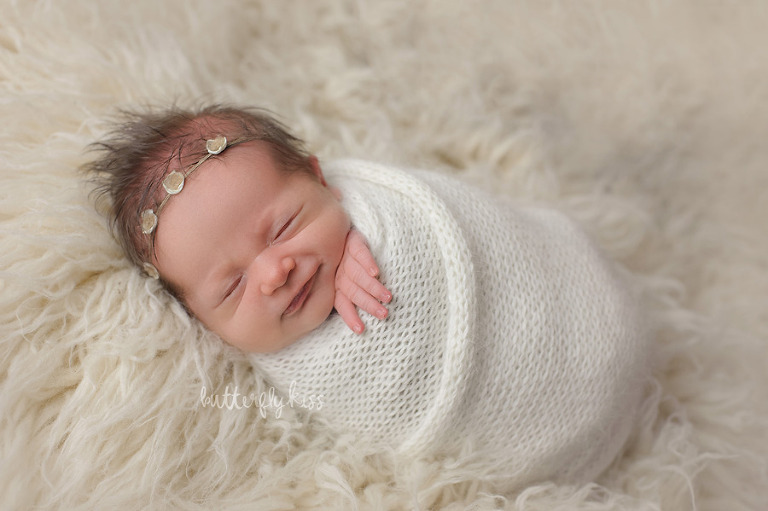 This Tacoma newborn photographer loves to capture siblings! Are you expecting a new addition to your growing family? First, Second, Third baby or more….it is always an honor to capture these fleeting moments for your family to treasure. Check out all the details HERE and contact me to check availability for your due date.